You are responsible for coming up with a preventative health plan for your puppy with your veterinarian. 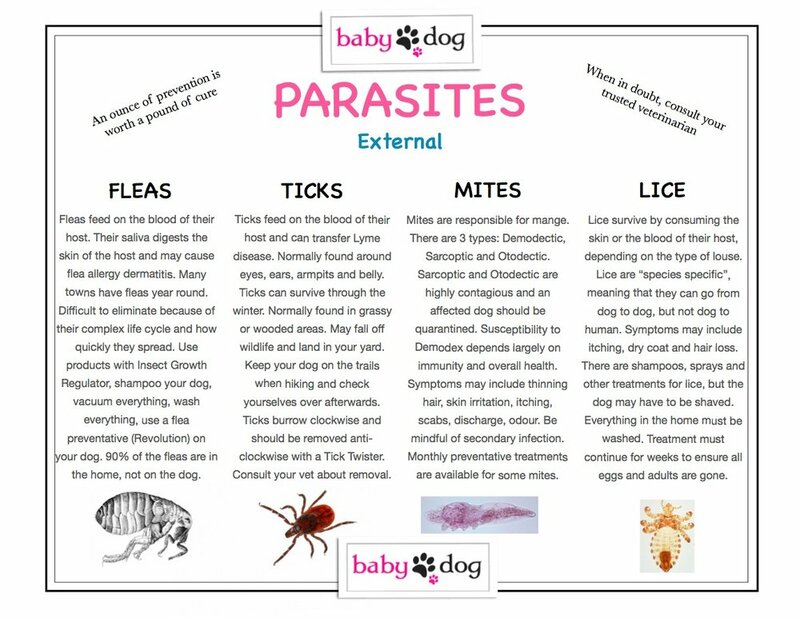 Remember that your puppy is far more likely to suffer from behaviour problems than fatal, contagious diseases. For that reason, your puppy should be socialized and trained despite the small chance that they could get sick from being in public. Not sending your dog to training because they may get sick is like refusing to send your child to school because they could catch a cold. Your puppy could get sick at the vet clinic, a training class, your back yard, the dog park, a hiking trail or your friend’s house…..literally anywhere. Find a balance between providing social opportunities to your puppy while doing your best to keep them healthy. 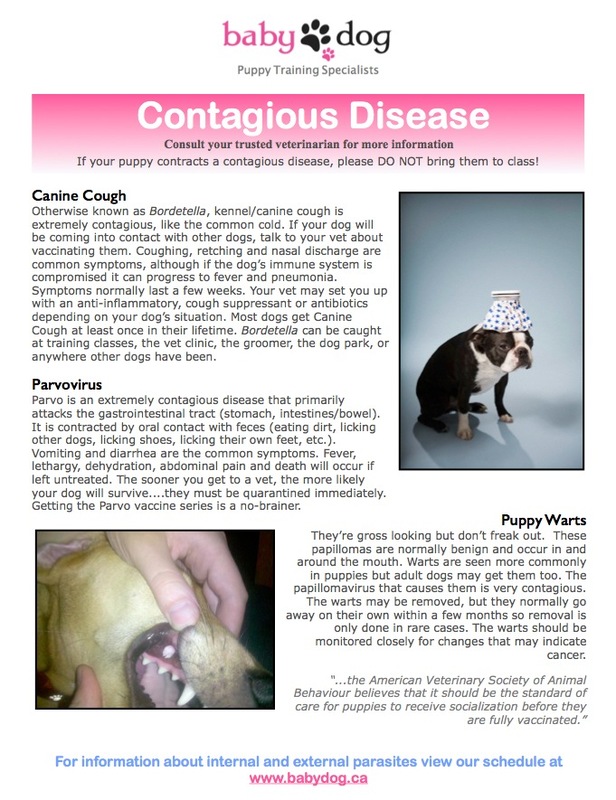 If your puppy gets sick please keep them safe at home and allow them to fully recover….THEN bring them back to class. Our classes are held in clean, indoor environments to keep your pup safe. We recommend you discuss a monthly flea/tick/worm preventative with your veterinarian. We also recommend you begin and remain current on a vaccination program with your veterinarian. It is also important to perform regular grooming on your puppy (bathing, brushing, ear cleaning, etc.) to keep them healthy.